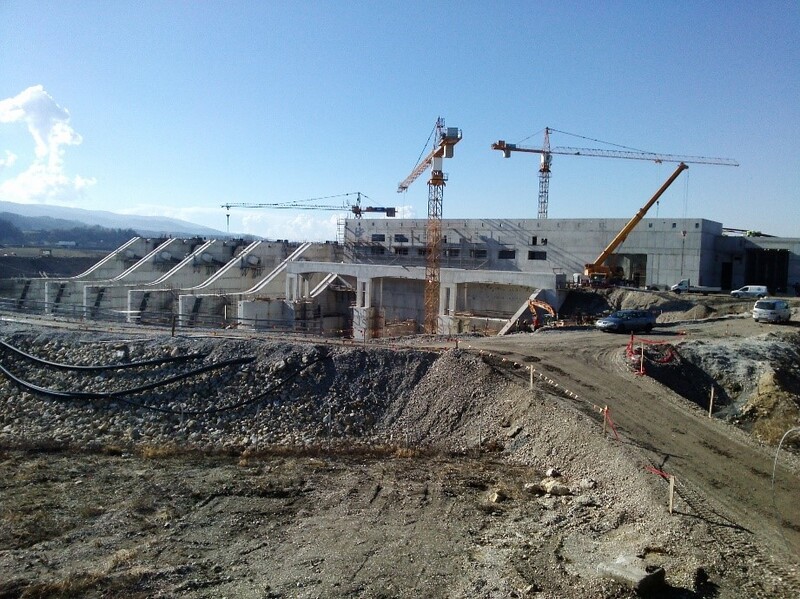 The construction of HPP Brežice is moving forward without delays, according to the set schedule and within the contract time frames. With 79,000　m3 of concrete and 5,450　tonnes of reinforcing bars gone into the works to date, as much as 81% of all construction work has already been completed. The construction of the ancillary building and auxiliary powerhouse facilities is nearing completion, and the walls of the prefabricated powerhouse engine hall have already been completed. Work on the powerhouse outlet gate, downstream right-bank flank wall, rock-lined riverbanks by the powerhouse and the upstream left-bank platform by the powerhouse is currently under way. The roof of the prefabricated hall is being installed at the same time. With the rails and frame for the travelling crane installed, we can now proceed with the assembly and installation of the turbine equipment. 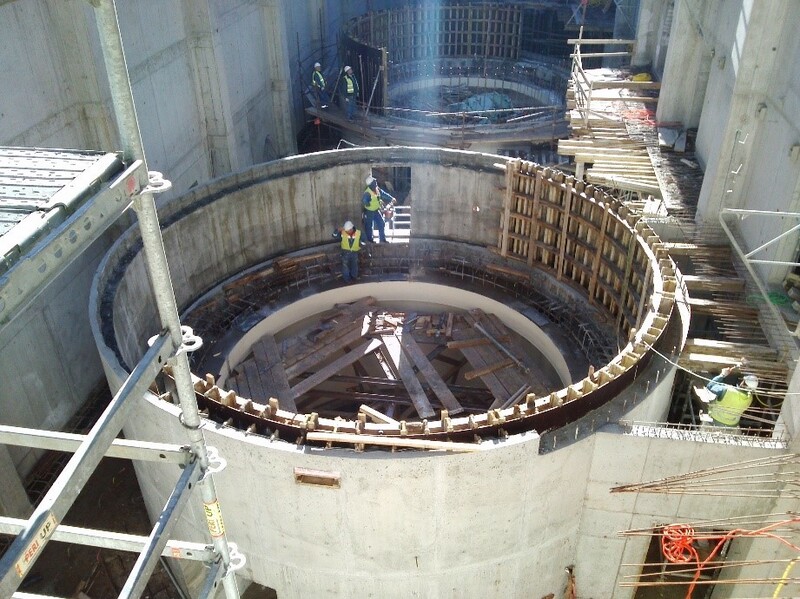 Drainage pumps have been installed in the powerhouse. As for the spillways, the welding work on the radial (Tainter) gate on spillway　3 is nearing completion; on spillways　4 and 5, we are ready to start with equipment installation. 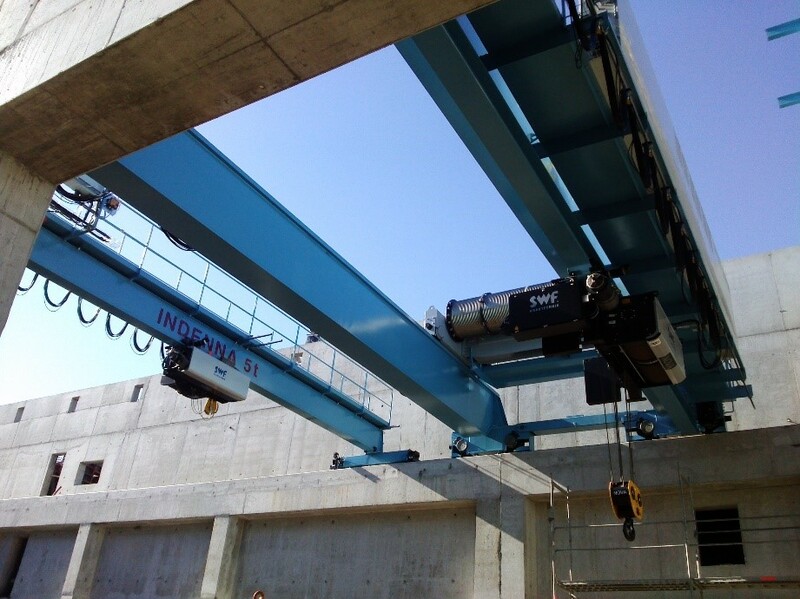 After all the radial gates have been installed, the installation of the bridge structure with all the necessary wiring and ductwork will follow. 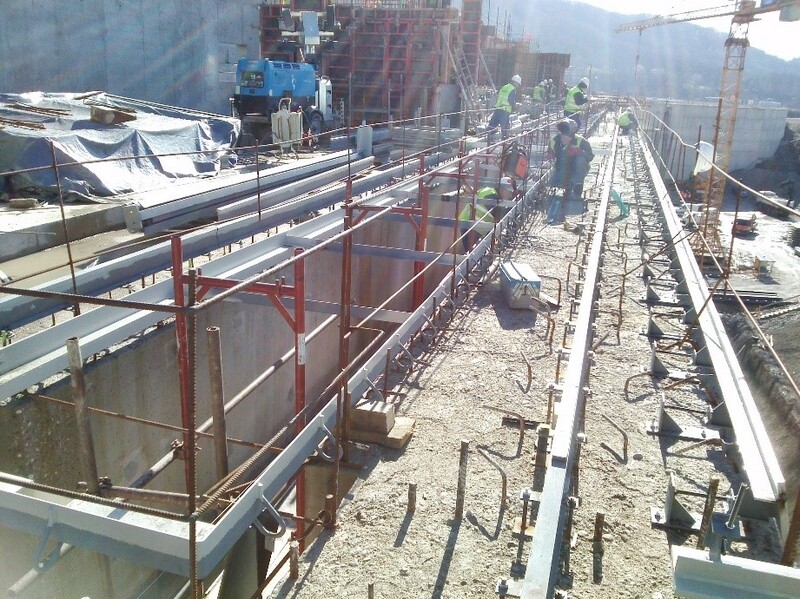 Installation of electrical cable conduits and laying of electrical and machine wiring and piping are currently under way on the powerhouse. Intense earthworks and the construction of a high-water release structure are currently under way on the reservoir, with the granting authority as developer and the company Infra d.o.o. as operating contractor. 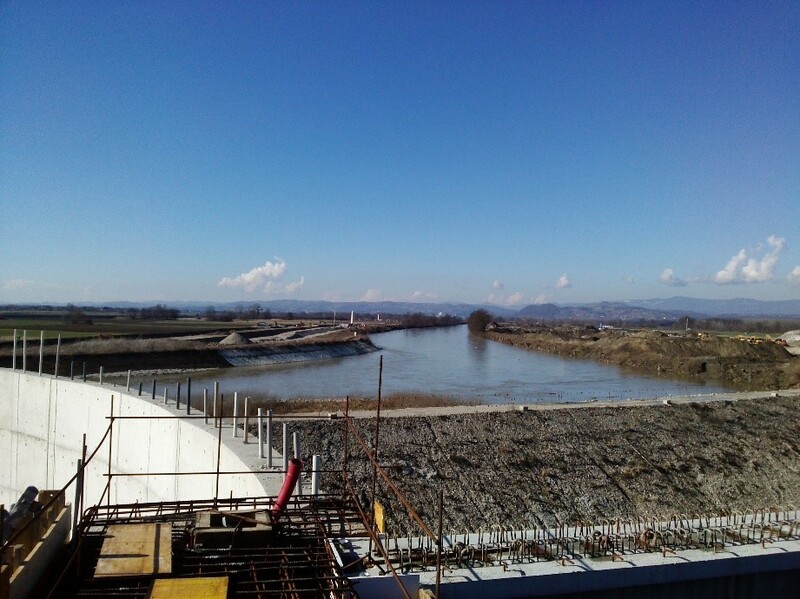 Given that the work schedules for the dam structure with the powerhouse and for the reservoir are well aligned and coordinated, it will be possible to divert the Sava River from the bypass channel onto the spillways and to backfill the bypass channel in the summer months of 2016. 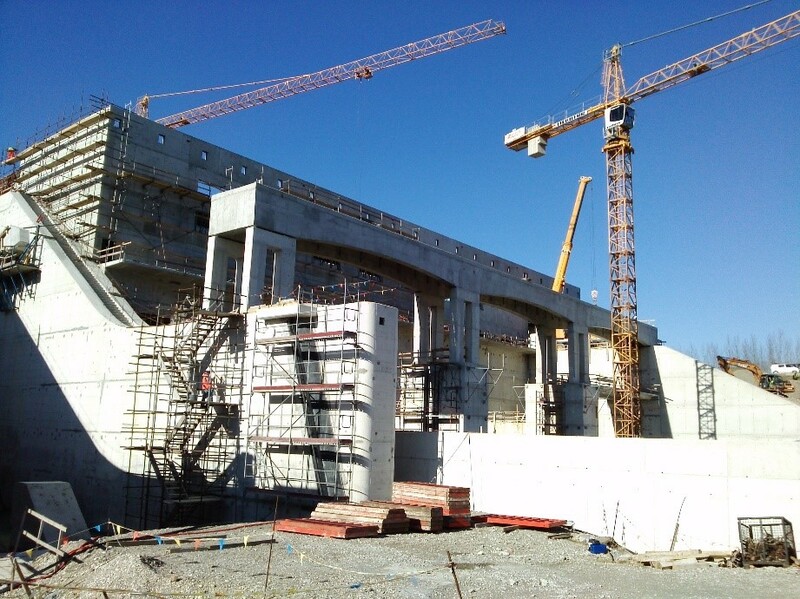 The deadline for the completion of the construction and installation work needed before the reservoir is to be filled to capacity remains unchanged and is set for November 2016. Start-up, functional and other testing is going to take place in the first half of 2017, followed by the technical inspection and the start of the trial run in the autumn of 2017.